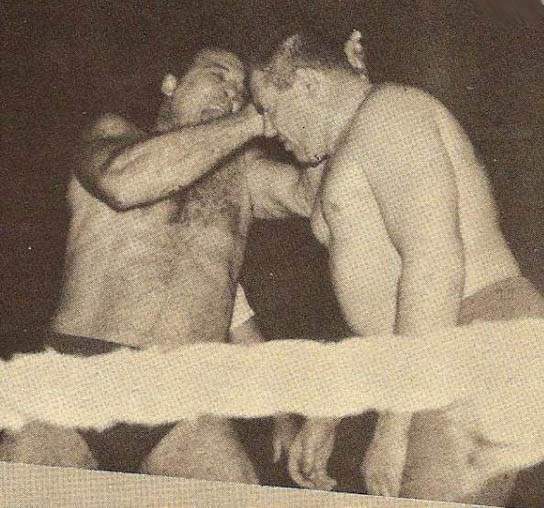 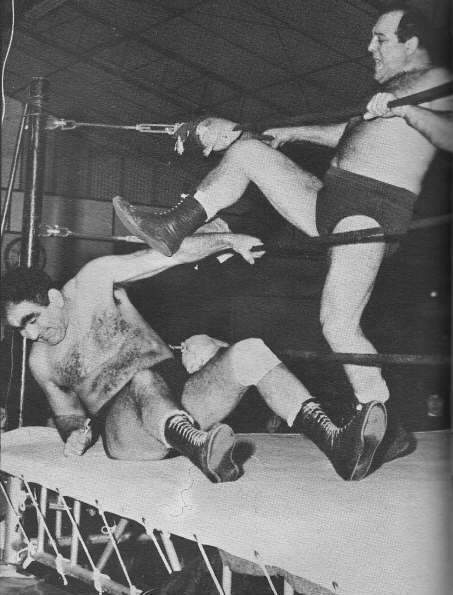 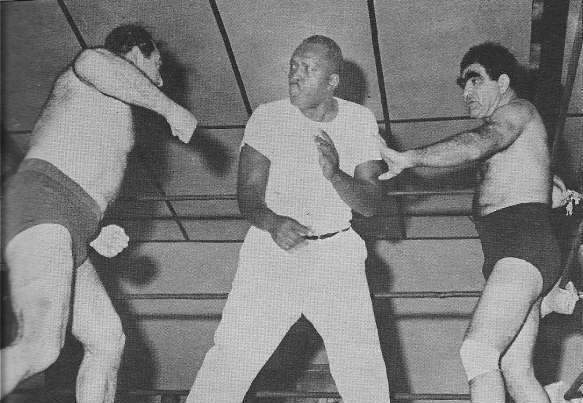 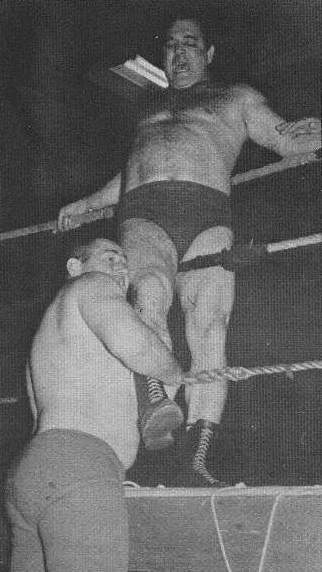 Frank Scarpa appeared from coast to coast as well as Canada and Mexico throuought the 1940’s and 1950’s..
Pepper Gomez claimed to have stomach hard enough to handle Scarpa’s punch, but he tricked him with punch to the jaw! 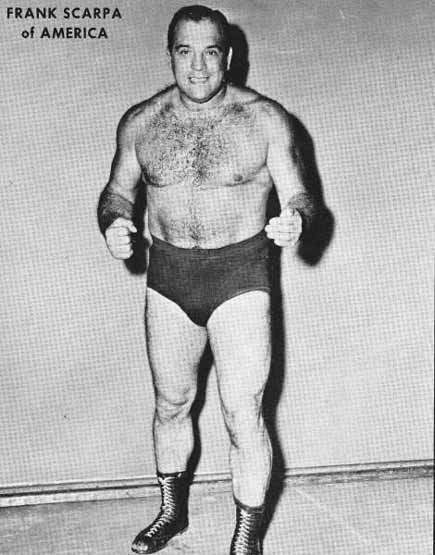 Frank Scarpa was a box office sensation throughout New England in the 1960’s. 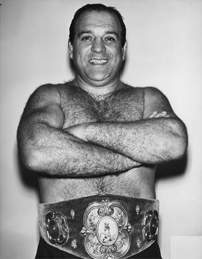 ~~~His bloody feuds with Bull Curry often caused riots at the Boston Arena..
April 27, 1967: Frank Scarpa won the Tournement for the vacated Big Time Wrestling World title in Boston..
January 25, 1969: Frank Scarpa died from a heart attack in the ring at the age of 53 ..